‘Spirit’ depicts the perilous journey Amy Johnson flew in 1930 – a journey also recreated by the aviatrix Tracey Curtis-Taylor in memory of Amy. 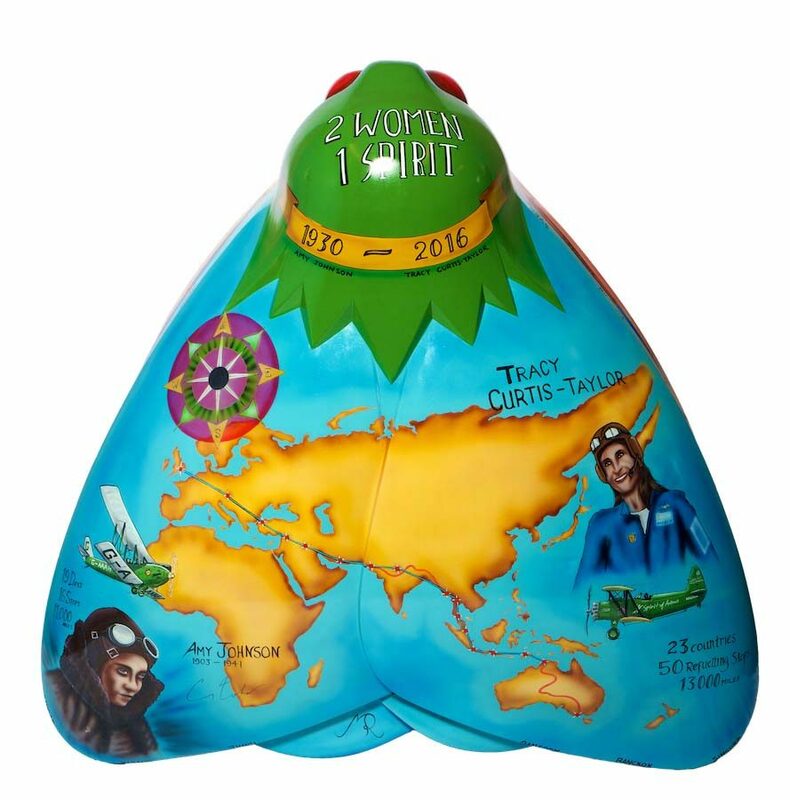 The Spirit moth honours both of these women, showing a map of the world and detailing the stops and number of days their journeys took, as well as their profiles and planes, and dates of the journeys. The moth head is painted green to match the shade of the women’s aircrafts. Mik Richardson is a Norfolk-based artist who has run his own mural, design and graffiti tutoring business since leaving the RAF in 2006. As well as producing over 400 murals and projects for businesses, schools, councils and communities, he has also been involved in many of the art trails across the country. To date he has produced 31 sculptures and close to another 100 with schools. Prospect Centre is situated in the heart of Hull’s city centre, offering visitors a mix of fashion, food, luxury items and everyday essentials. It boasts over 40 retail stores, a recently modernised food court and an action-packed, year-round, events calendar. A major rebrand is currently underway, which will see the centre thrive as an attractive, community-focused, retail and culture destination.